Jacob & Co. Twin Turbo Furious – Double Triple-Axis Tourbillon, Decimal Minute Repeater, Chronograph… And More! 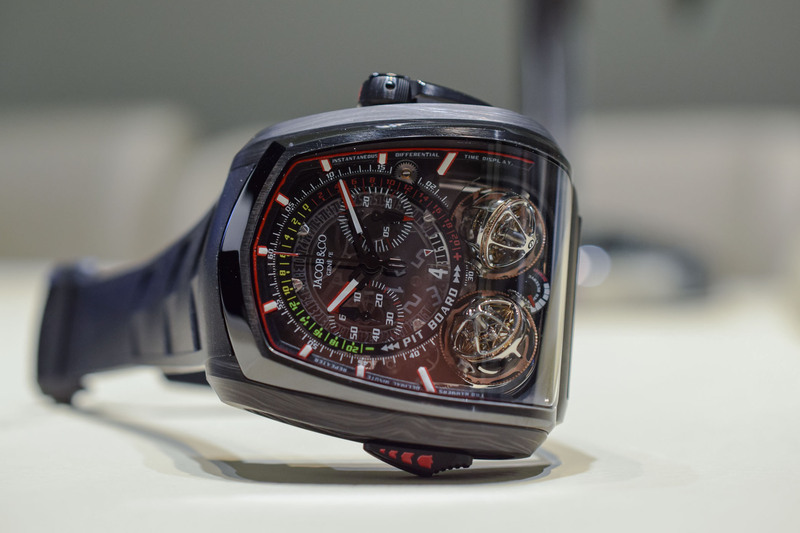 Baselworld 2018 Jacob & Co. Twin Turbo Furious – Double Triple-Axis Tourbillon, Decimal Minute Repeater, Chronograph… And More! "Extreme" is an understatement to define the latest Jacob & Co. creation! The nickname “watch of all extremes” says it all. Jacob & Co. continues to impress with the uber-complex and visually spectacular (to say the least) Twin Turbo Furious. 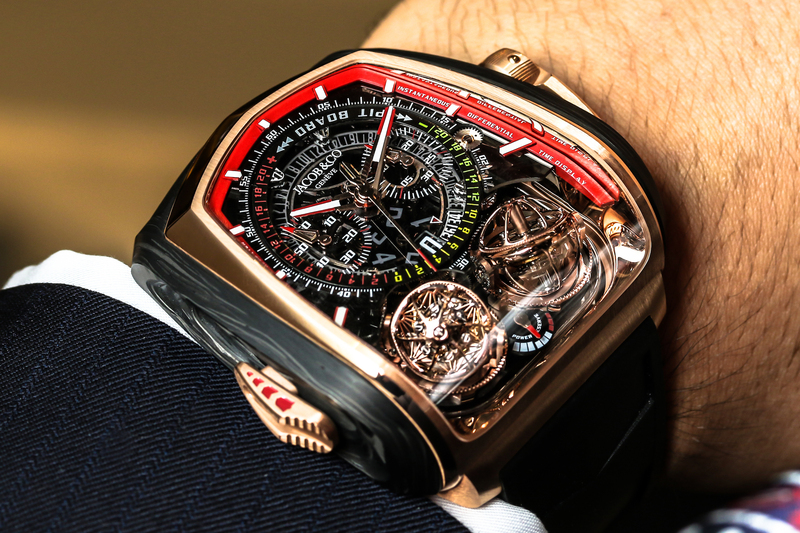 This beast of a watch features an insane, staggering combination of complications: a double triple axis tourbillon, a decimal minute repeater, a chronograph… and more! Cased in black DLC titanium and carbon fibre, the Twin Turbo Furious is a leviathan (57mm x 52mm). The complex case is made of 88 parts. The watch is wound up through the crank placed on the crown at 3 o’clock. The minute repeater slide is located at 9 o’clock. 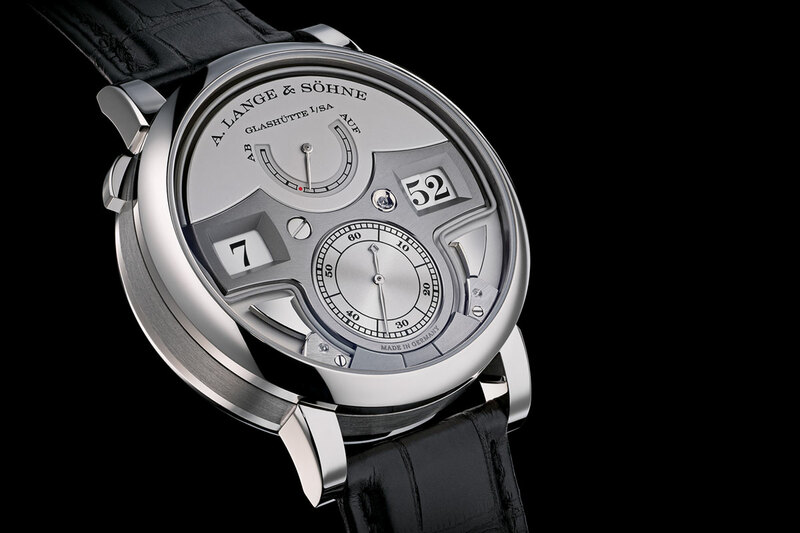 The dial is smoked sapphire crystal allowing a view of the movement’s intricacies. It features the “Jacob & Co.” logo and a red neoralithe inner ring with seconds graduation and indexes with luminescent material. Like it or not, it is hard to remain indifferent to the exuberant, extreme, demonstrative personality of this watch. The hand-wound calibre JCFM05 is truly spectacular, both technically and aesthetically, with tremendous depth. The design and choice of colour are loud – but that is the goal. 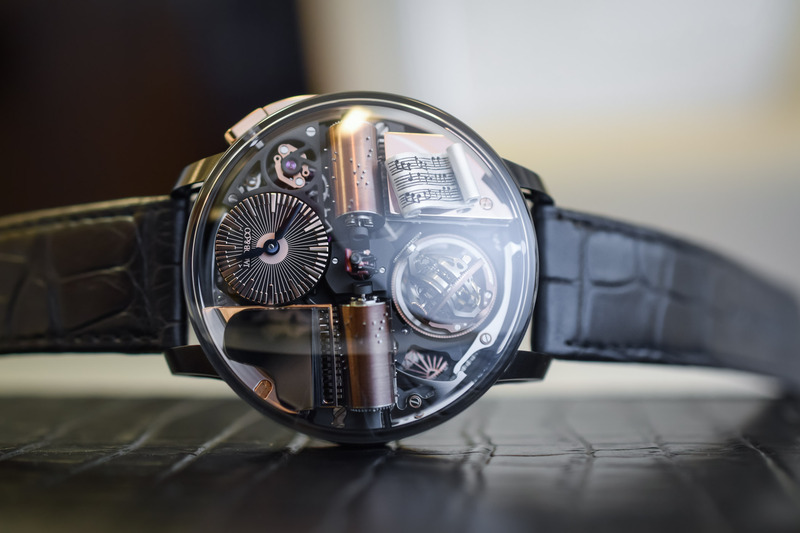 The ballet of the twin high-speed tourbillons is simply mesmerizing. 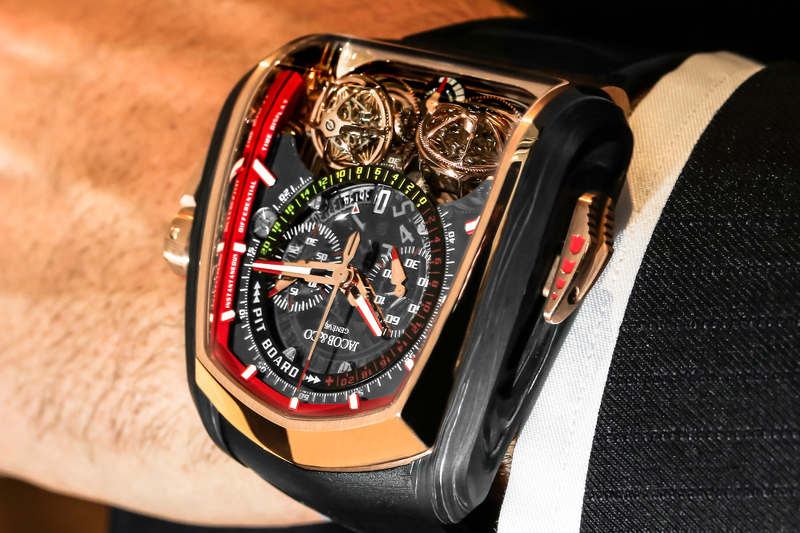 Running at 21,600 vibrations/hour, the Twin Turbo Furious has a 50-hour power reserve, which is displayed at 6 o’clock in between the tourbillons. It is made of no fewer than 832 parts, including 75 jewels. A new model in the Twin Turbo collection, the Twin Turbo Furious is regulated by a pair of triple-axis tourbillon regulators. From a technical perspective, these are meant to compensate the negative effect of gravity on the regulating organ in all positions (contrary to a classic one which only compensates when the wristwatch is in vertical position). 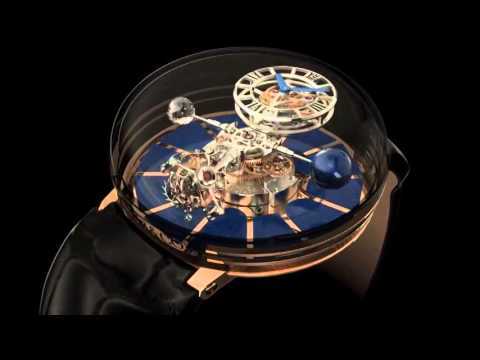 The connection between two tourbillon carriers aims at stabilizing the entire system, one compensating the other. Rotating in 24, 8 and 30 seconds on their axis, these are ultra-fast and truly spectacular. Jacob & Co. uses the word “sequential” with reference to their high-speed, jerky, 3D rotation. If the first Twin Turbo (2016) already combined a minute repeater and two triple-axis tourbillons, the integration of a chronograph function is new. Jacob & Co. opted for a mono-pusher chronograph with a column-wheel and horizontal clutch – a traditional architecture. But there is more. The stopwatch mechanism incorporates an original “reference time” indicator. An opening in the dial at 6 o’clock indicates a reference time in minutes and seconds that can be set via the crown (position 2 – up to 5 minutes 59 seconds). The pit board wheel then allows reading the difference in seconds, in comparison to the reference time when timing an event. This indicator is inspired by the timekeeping panels used in motor racing on the side of the tracks. The Twin Turbo Furious features a decimal repeater. It chimes the time down to the minute in a more intuitive way than the traditional minute repeaters: rather than chiming hours, quarters and minutes, it chimes hours, ten-minute intervals past the hour and minutes past the last ten-minute interval. 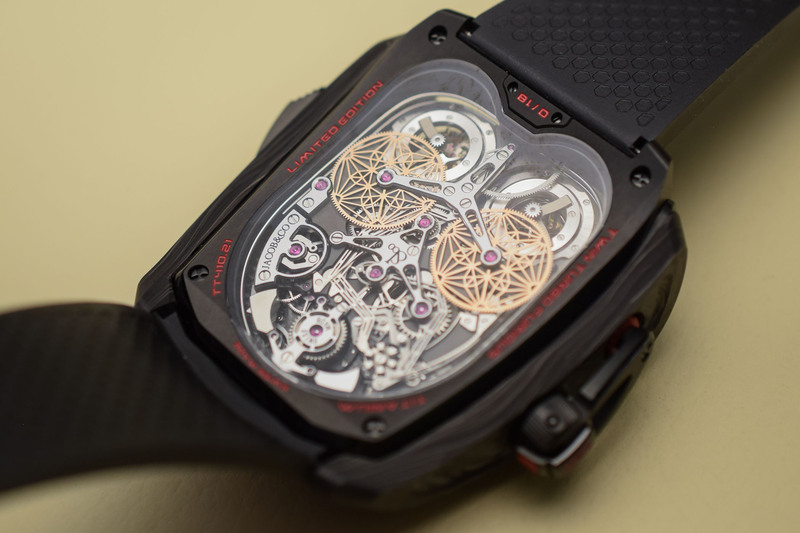 Minute repeaters usually require cautious handling – inappropriate operation may damage the movement (and servicing such an intricate mechanism would be a long and complex process). 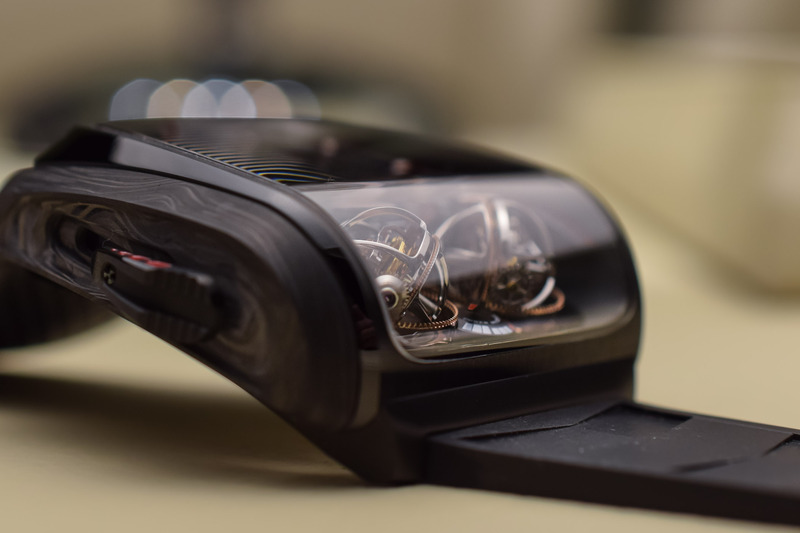 Therefore, Jacob & Co. has developed several systems for simple and secure use of the watch to prevent untimely occurrences such as the chiming being activated when resetting the time. 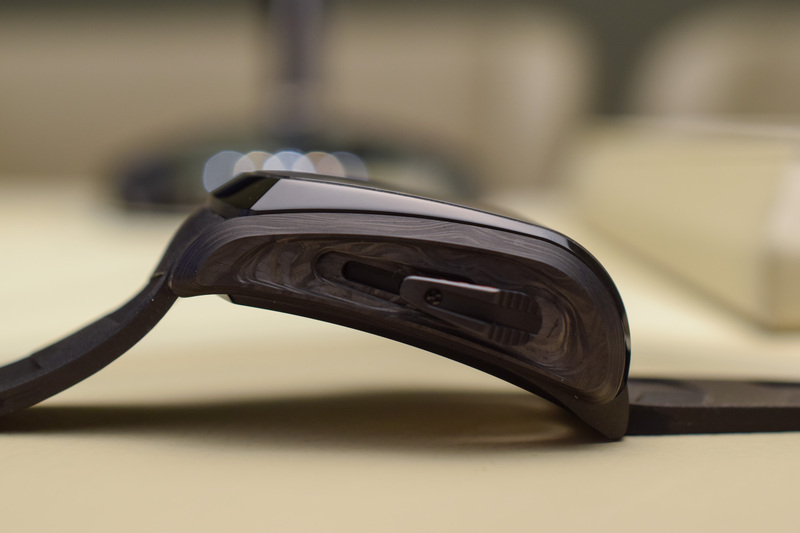 The Jacob & Co.Twin Turbo Furious is fitted with a leather strap secured on a folding buckle. 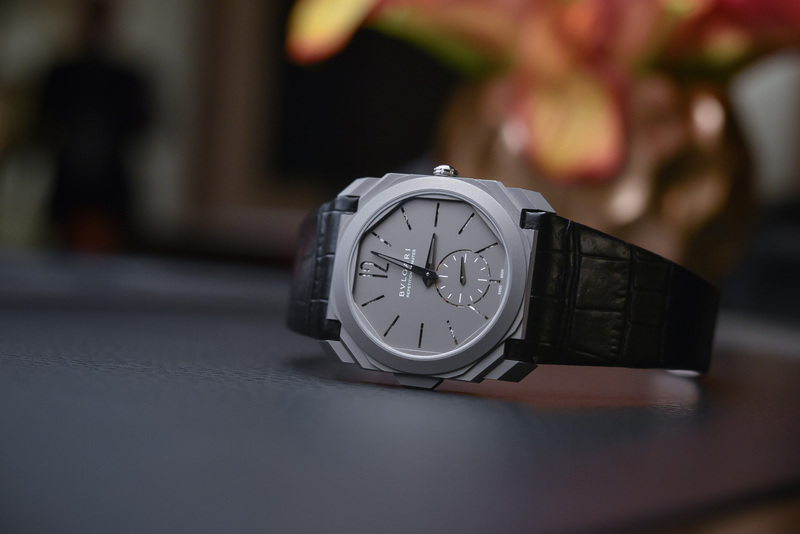 A limited edition of 18 pieces, it retails for CHF 525,000. The Twin Turbo Furious is spectacular, certainly polarizing but what an impressive development! Without surprise, the price tag for this outrageously complicated is ‘furious’ too, simply out of reach for most of us. Still, I can thoroughly recommend that you check it out in person if you get the chance. 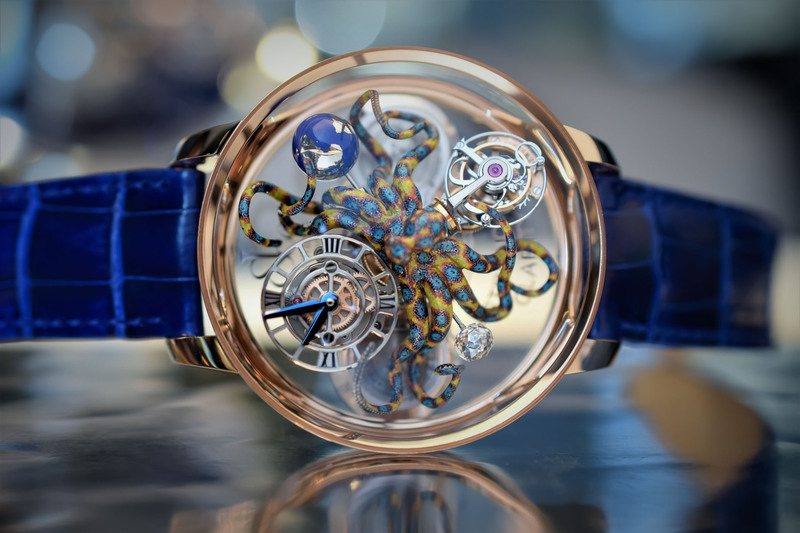 For more information, visit www.jacobandco.com. Wow – so over the top, this could almost be an April 1st spoof article (it’s not been put up early by mistake has it?). Not so long ago, a single triple-axis tourbillon taxed even the skills of Thomas Prescher: this watch must be quite a challenge, even to take apart, let alone to build or rebuild – and is rather cheaper than I expected [not often I say that about a watch!]. One for the billionaires, though! Although interesting from a horological point of view, the jerky nature of the “turbos” makes this piece present like a toy. I honestly don’t understand the fascination with tourbillons these days. The stabilization effect is barely significant and while the 3d versions are interesting mechanical marvels, one is plenty and in many cases, too much. I do love the back of this piece, which captures the imagination without having to resort to novelty. Who would actually wear this though and just how much shock could those cages sustain? By the looks of it, you could bust them with a moderate shake. OK I get it, more of a study than a production model but just because you can build something doesn’t mean it has a right to exist. 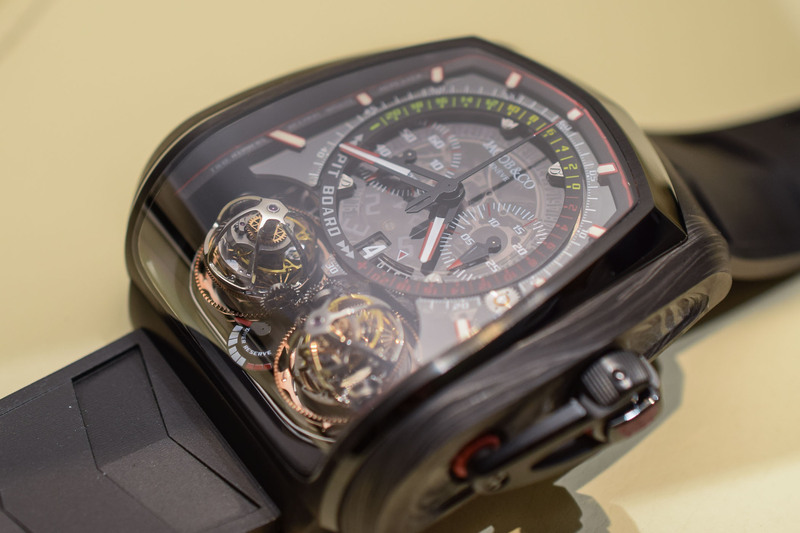 You know those twin tourbillons represent what the wearer aside from money is obviously lacking right?